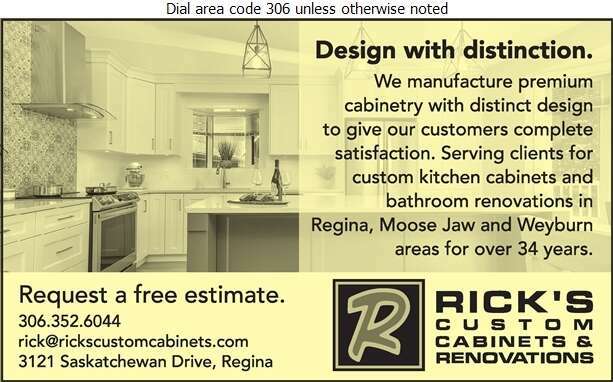 At Rick's Custom Cabinets & Renovations our custom cabinets are manufactured right here at home with Saskatchewan products. We have been in business for 30 years and provide you distinctive designs. We offer you custom pieces that will work with your space, there are no standard sizes or standard styles. 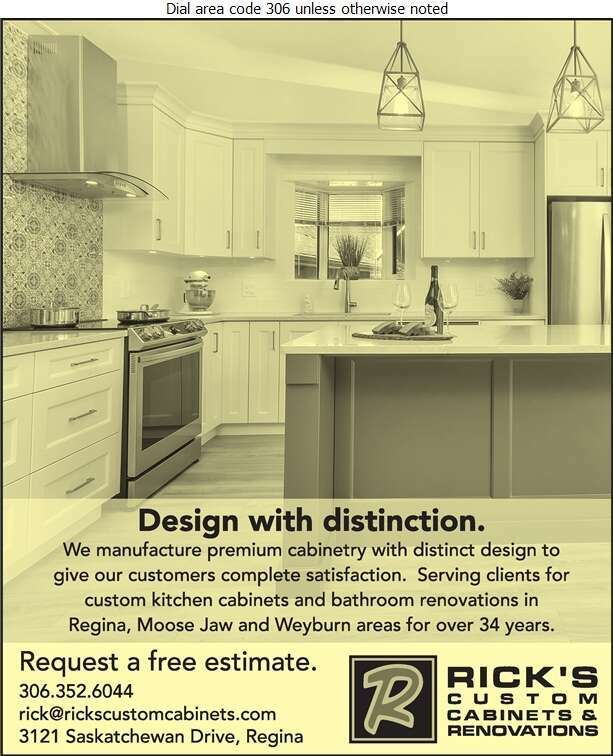 At Rick's Custom Cabinets we have no limits and provide you with detailed drawings to help you better visualize the completed project. We work with you to ensure that the finished product is something we are both proud of.